Can these speakers connnect to a bluetooth radio? BEST ANSWER: Yes. The speakers hook up to the Bluetooth device like a Bluetooth ready receiver like normal. Then you can use Bluetooth to play a device like an iPod. I have installed speakers before, but the wire hookups on these speakers seem odd. How/where do you connect the wires to the speaker? Do you just put the wire thru the hole in the metal piece or do these speakers require a fancier hookup of sometype? Speakers I have hooked up before just have a red & black space similar to the back of a receiver. Both wires on the speaker are black -- which is white/red and which is black? BEST ANSWER: Thank you for your question. It would be best to use push on Female Spade Terminals. This type of connector is fairly common in marine/car audio. The Positive will be the larger connector and the Negative will be the slimmer connector. Be sure to use the correct size Spade Terminal. 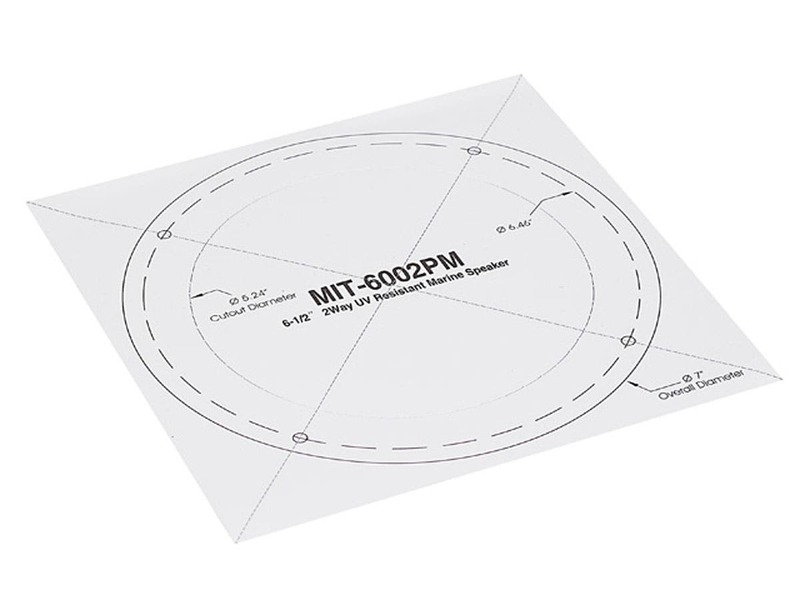 The positive side will require 0.25" width and the Negative will require 0.187" width. Do these need a box to get bass response or can I just install them in the paneling? BEST ANSWER: I installed them in my boat without a box and the bass sound is ok.
Can the faceplate be removed for painting it? I would like to use these in a porch ceiling, but the white would not match the ceiling color. BEST ANSWER: No. The speaker grill was not removable on the ones I received. Can the faceplate be removed to paint it? I want to use these as ceiling speakers in a brown ceiling, and I would like to paint to match. 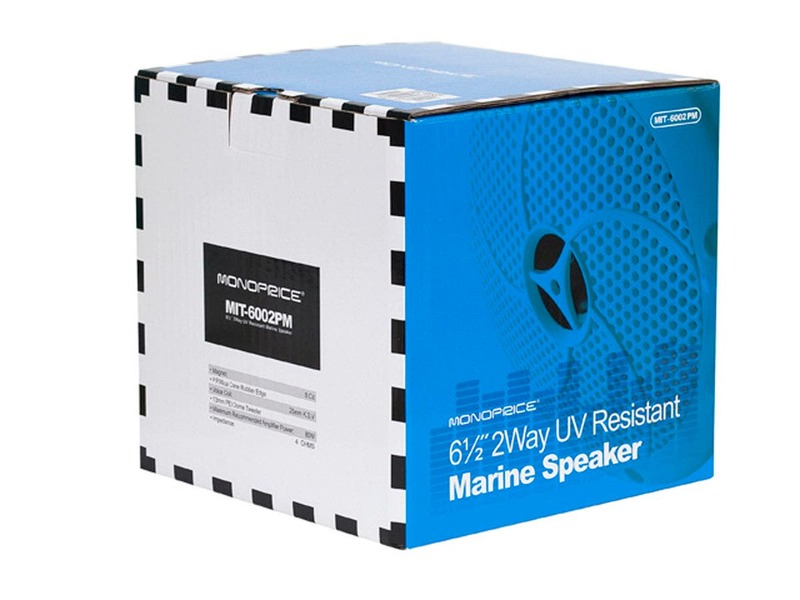 BEST ANSWER: These Marine Speakers do not have detachable grills. 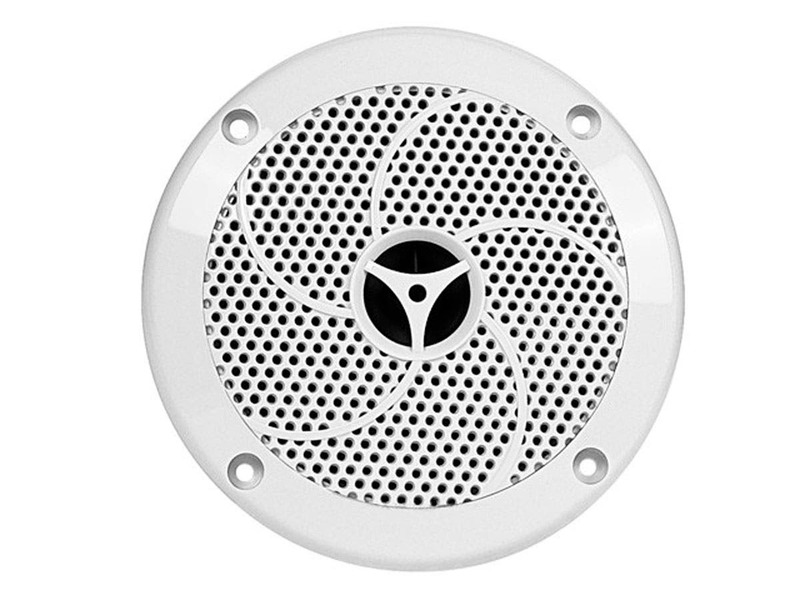 You may want to consider the Aria Ceiling Speakers. They are on sale right now for $10 cheaper than the 8555s. What is the frequency Response and the SPL (1w/1m) efficiency? What type enclosure do they need? Expectations for the speakers were not met. Expectations for the speakers were completely exceeded! These speaker really surprised me. I put them in my Searay Sundeck and was pleased with their overall sound. I didn’t expect much based on their price point, but they produce a decent range with clarity. The boat had marine grade Panasonic speaker when I bought it. They sounded pretty good, but two were blown. Call me cheap, but I didn’t feel like spending $250 on a set of speakers for a boat I only get to use about a dozen times a year. This is what led me to mono price. After researching the 6 1/2 inch speakers and reading the ratings they received, I thought I couldn’t go wrong for 50 bucks. Even if they were complete and other junk I wouldn’t lose out on too much. I am so glad that the speakers have exceeded every one of my expectations. My one and only complaint is that one of the speakers came with a damaged grill. 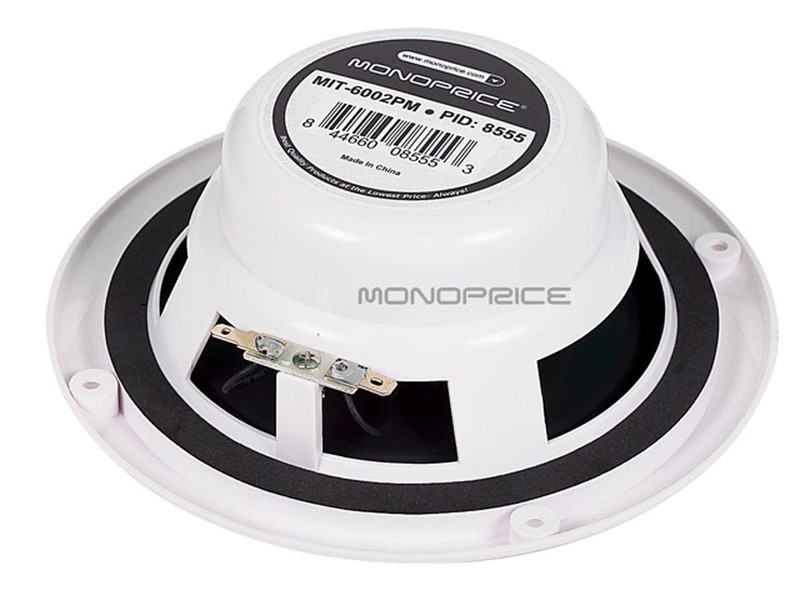 I have contacted Mono price, and they are currently in the process of replacing the broken pair of speakers, which is looking like it is going to be a two week process. Good luck finding anything comparable for less than $100! Putting these in 2nd boat because they lasted years in the first one. 8/10 sound - comparable to anything in the $100 range. Marine audio is notoriously over-priced. I also had 6x9's in my old boat but see they're not available anymore. Please replace these with something comparable! (and add powered sub) Please Monoprice you're my only hope! Mono price did it again! fantastic sound quality for the price! you canâ? ?t beat it Iâ? ?ve tried JBLâ? ?s before but had to return them. The speakers sound really good the trebles a really high, the bass could be deeper. The sound is really clear it does not sound like itâ? ?s coming out of the bucket. itâ? ?s very good quality for a marine speakers. Thank you, Mono Price, will be back soon ! I installed 6 of them in my boat and the sound is ok. Much better price than the Sony speakers. I'll keep this short. You will not be disappointed with these speakers for the price. I bought a pair and I am so satisfied that I came back to buy 2 more pairs. They are already out-of-stock. I guess that I'm not the only one who thinks they are well worth the money. Now lets give them a year or two and see how they handle the hot, humid Florida weather. But for now.... Nice job Monoprice and thanks. put these in the cockpit of my boat, look good and sound pretty darn good, seem well made, templates were great. 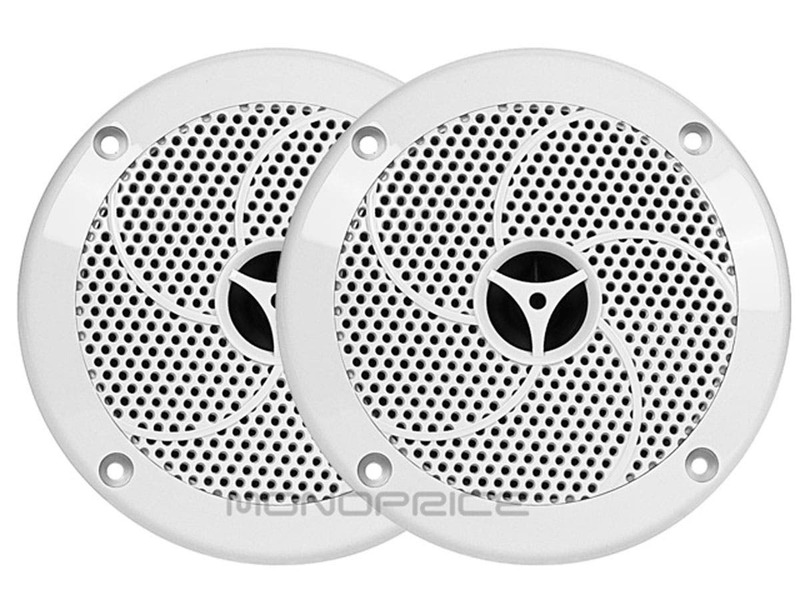 I purchased these for outdoor speakers. 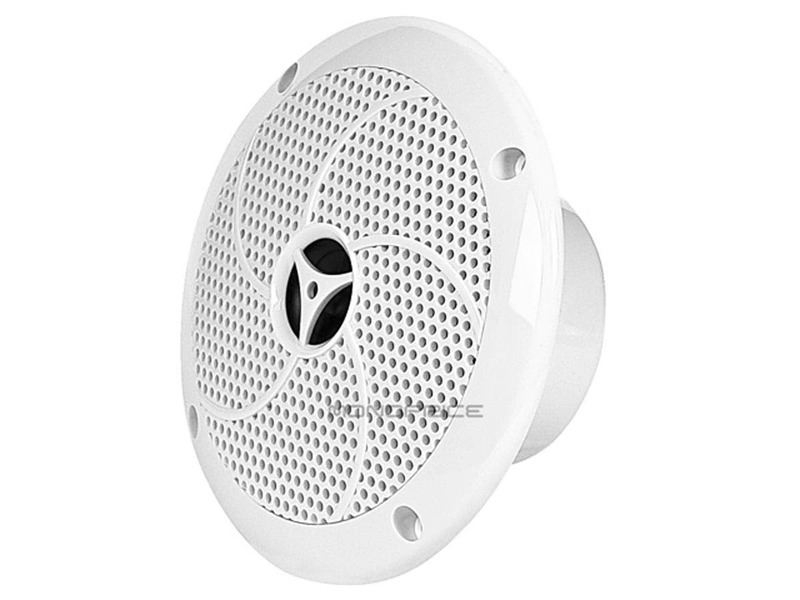 We have a small balcony off the master bedroom and I mounted these in the soffits and ran wires through the attic in to the closet where I have a Chromecast Audio and a small T-amp. Because it's a small balcony and you can't be farther than a few feet away from the speakers I am not running them at high power/volume. Although, as others have mentioned, these are not bass powerhouses, at the low levels I'm typically using it's not a big deal. Sound is crisp and clear. Installation was easy, although that obviously depends on your use scenario. The included template was handy. It's worth pointing out that you will need spade connectors or (as I did) just solder directly to the tabs. My only complaint about these speakers is the fact that the grille is non-removable. I intend to paint these at some point, and having a removable grille would make that process a heck of a lot easier. But given the price point and the sturdy construction of these speakers, that's a minor nitpick. Put two of these in my 17" Runabout connected to a Sony head unit. They sounds very clear at pretty much any volume. A friend of mine heard them and put a pair in his 23' center console Mako. He was blown away by the Bass response, especially in such an open craft. The only reason they didn't get a 5 star rating was that after a year the speaker grilles had yellowed from the sunlight.